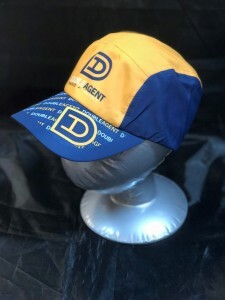 The 2018 Double Agent hat made by Headsweats. This hat is light-weight and made of 100% Microfiber Polyester moisture-wicking material. *Please note that this material is a little different than the older Headsweats hats but they still look and work great.